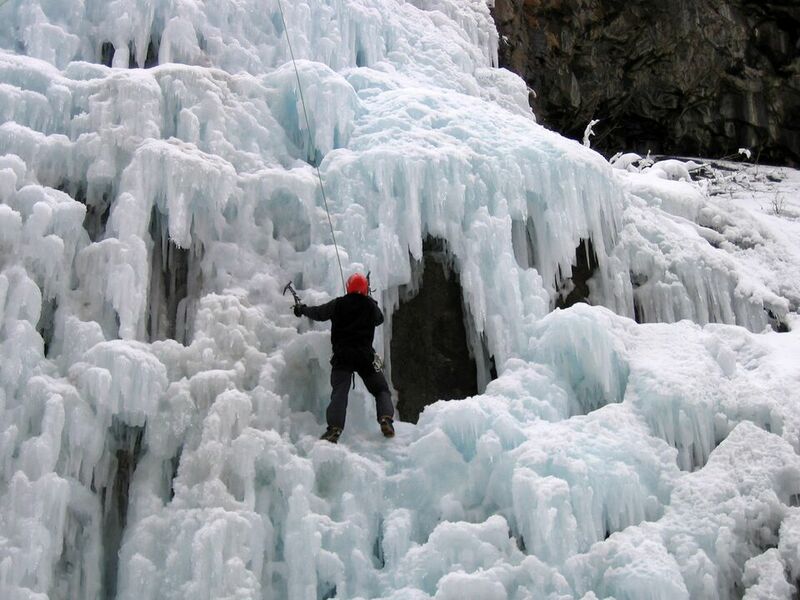 The Ouray Ice Park may be the only park in the world devoted exclusively to the sport of ice climbing. Located in the Uncompahgre River gorge just a ten-minute walk from the historic mountain town, the ice park allows climbers to test their skills in a controlled ice-climbing environment. Each winter, piped water transforms the gorge into a vertical cascade of climbable ice pillars, icicles, ice sheets, and cauliflower-shaped ice bulges. Trails and bridges offer views of the climbers, and the annual Ouray Ice Festival brings throngs of visitors. In 2007, The Trust for Public Land helped the City of Ouray acquire land from the U.S. Forest Service to improve the efficiency of park operation and maintenance. The transaction was part of our work around Red Mountain where we have conserved more than 9,000 acres to date.